Excited for their first real snow storm, Marv and Cheryl Orsburn headed north to spend the week in their cabin in Payson. They prepared for power outages and feet of snow blocking roads, but instead, an unexpected twist trapped Marv from the waist down. 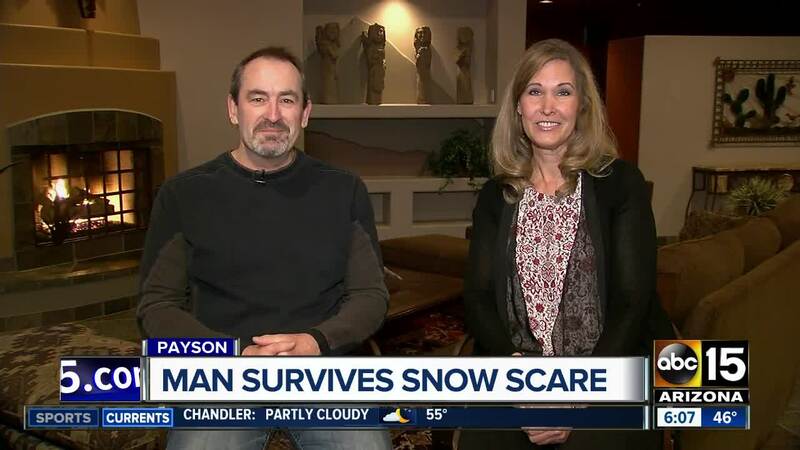 PAYSON, AZ — Excited for their first real snow storm, Marv and Cheryl Orsburn headed north to spend the week in their cabin in Payson. They prepared for power outages and feet of snow blocking roads, but instead, an unexpected twist trapped Marv from the waist down. "I thought it was a few chunks, and it just kept coming and coming and coming," says Marv. 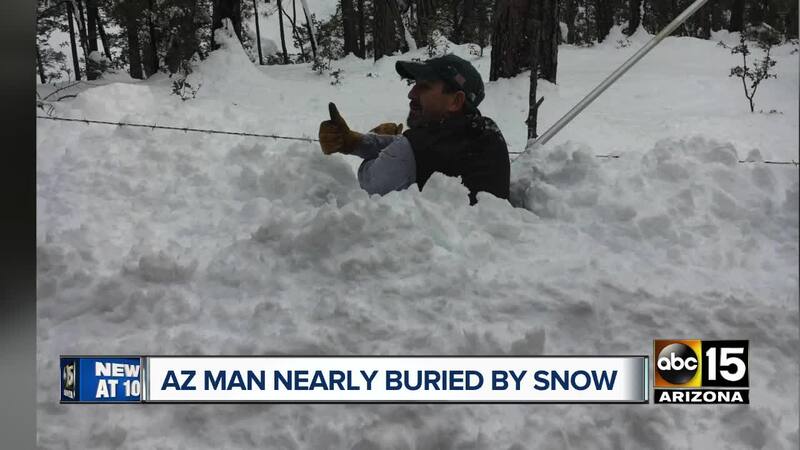 Surveillance video shows Marv shoveling snow behind the cabin, then seconds later, massive chunks of snow fall 25 feet from the roof, burying Marv underneath. “It was from the middle of his back down to his knees or just below his knees," added Cheryl. She heard the crash from the front of the cabin and ran over. It took Cheryl several minutes to dig her husband out, but not long to realize how lucky he was. The Orsburns said the snow could just as easily fallen on one of their grandchildren. The incident is a good reminder to be aware of the many dangers of snow, especially as snow begins to melt and move.